After Zoleka Mandela lost her 13-year-old daughter Zenani to a motorcar accident in 2010, her grandfather Nelson Mandela put her on his knee and told her that she was not the only parent to have lost a child. He himself had lost three children and he explained that she had been thrust into this particular hell because she would become an inspiration to others. Little did either know that within a year, Zoleka would have lost another child, a newborn infant boy named Zenawe, or that she would be diagnosed with breast cancer. Each of these unbearable traumas took place against the backdrop of her drug and alcohol addiction, and she has woven it all into a powerful book about her young life. 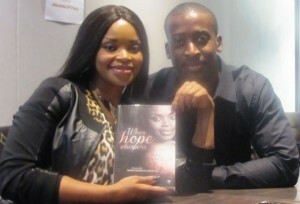 Zoleka visited the Nelson Mandela Foundation, where she spoke to staff about her book When Hope Whispers, which she started writing while undergoing cancer treatment. The discussion at her grandfather’s post-presidential office was especially poignant, as many there had got to know and had grown to love her late daughter Zenani. 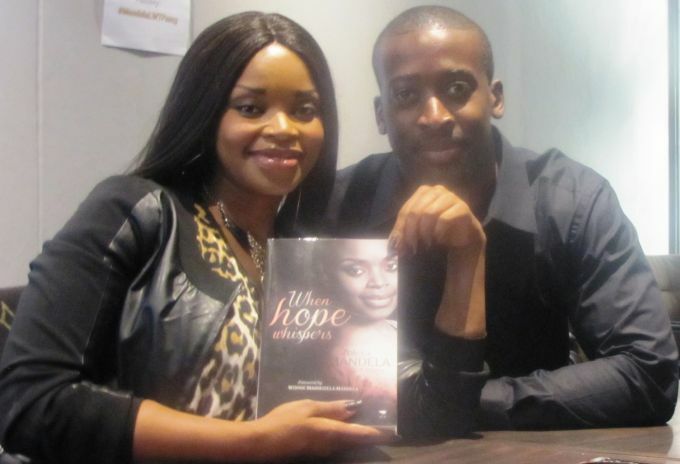 When Hope Whispers is billed as “Zoleka’s story of healing and triumph”, which tells the story of “success in spite of overwhelming challenges”. She related how both her grandfather and grandmother, Winnie Madikizela-Mandela – who wrote the book’s foreword – had taught her that no matter who you are, you always have the power to make someone else’s life better. “For a very long time I never thought I had a voice, and for the first time in my life I feel useful. Through my book I aspire to be a source of inspiration to those who are desperate, in need of hope and unable to ask for help, much like I have been for most of my life,” Zoleka said. Today she is cancer-free and three years and three months sober, and is already inspiring others, just as her grandfather had predicted. She does this through interviews and her public speaking. Follow her on Twitter @zolekamandela and her blog on www.zolekamandela.com for updates and forthcoming events.